Hosting a destination wedding is no small feat, but once you’ve arrived at your destination and are celebrating with your favorite people in the world, the experience is priceless. You can think of it as not only your wedding, but an amazing vacation that you (and hopefully your guests) will remember forever. Follow these steps to plan a destination wedding that your guests will rave about for years to come. The first step to pulling off an unforgettable destination wedding is choosing a location that offers a little something for everyone. 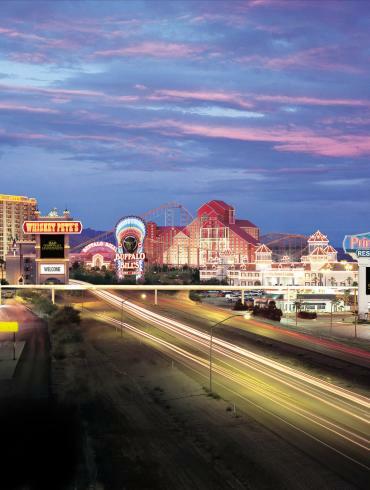 With a destination like Las Vegas, the world is your oyster. 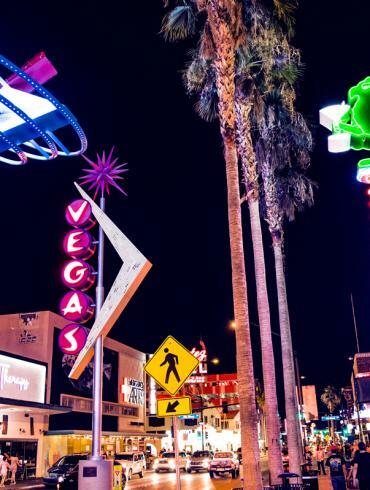 Guests of all ages can find activities they’ll enjoy here, from checking out the hottest nightclubs and VIP lounges to shopping, golf, seeing a show, visiting museums, and even touring the Strip by helicopter. The entertainment isn’t limited to the Las Vegas strip, either—outdoor-loving guests can venture beyond Vegas to Lake Mead, Red Rock Canyon or the Hoover Dam. Leading up to the wedding, get everyone excited for the trip by listing all the possible activities and sightseeing spots on your wedding website. Include any group activities that you’re planning, like a welcome cocktail hour or wedding after-party, to pump your guests up long before they even arrive in town. There’s no better way to welcome your guests to your destination than with a party. This is a great opportunity to introduce anyone who hasn’t met before, and it also gives you a chance to mix and mingle with guests before the big day arrives. The Cosmopolitan of Las Vegas overlooks the Strip and has numerous award-winning restaurants, plus five different bars and lounges to choose from—each one with its own unique theme. If you had something more low-key in mind, check out the Shark Reef Aquarium at Mandalay Bay that’s sure to be a fun experience for guests young and old. Welcome bags are a nice way to thank your guests for making the trip to attend your wedding. Surprise your loved ones with welcome bags that include location-themed treats, for example your favorite local snack or souvenir. It’s also helpful to print out copies of your wedding itinerary, nearby activities, and any personal recommendations you want to share (like your favorite restaurant or coffee shop in town). Make life easier on your guests by choosing room blocks at hotels that don’t require them to leave the property. Not only does this allow more time for everyone to relax and unwind (spa and restaurant on-site? Check! ), but it also allows for all of your guests to be in the same place at once, so the festivities never have to end. There are dozens of hotels in Las Vegas that have everything your guests will need during your destination wedding. Our personal list of favorites begins with Wynn Las Vegas. With 260,000 square feet of event space ranging from grand ballrooms to romantic gardens, Wynn Las Vegas can accommodate weddings of any size and style. Nearby, your fashion-obsessed guests will love the Grand Canal Shoppes at The Venetian, where they can pick up designs from Barneys New York, Jimmy Choo, Christian Louboutin, Burberry and more. If there are any foodies on your guest list, they’ll love exploring all of the culinary options at Golden Nugget in downtown Vegas. From the award-winning steaks at Vic & Anthony’s Steakhouse to the seafood specialties at Chart House, there is a menu to please everyone’s palate. Couples looking for an intimate Las Vegas wedding will love ARIA Resort & Casino. This property has four different spaces that are perfect for smaller ceremonies, including a private wedding chapel, fireside lounge, French brasserie, and swanky poolside verandah. When it comes to downtime at the resort, your guests have it all, from getting pampered at the hotel’s spa and salon to dancing the night away at the ARIA’s bars and lounges. Foodies will love eating their way through the hotel’s variety of restaurants, including the exquisite Jean Georges Steakhouse. Of course we have to talk about the hotel’s rooms themselves—particularly the ARIA sky suites, which provide the ultimate luxury experience for your guests (we’re talking personal concierge, exclusive lounge access, a private pool, and more). When you’re creating your destination wedding itinerary, it’s important to remember that you don’t have to spend the entire time with your guests. Yes, they traveled specifically for your wedding, and while you definitely want to acknowledge that, it’s also nice to give your guests a little freedom to explore on their own. After all, a destination wedding should feel like a vacation for you and your guests—not to mention that you’ll probably be pretty busy with wedding prep and last-minute details. Depending on how long the majority of your guests are staying in town, one or two scheduled group activities is a good balance for everyone (consider adding a third activity if the trip lasts more than five days). Give your guests a list of optional activities and let them take care of the rest!